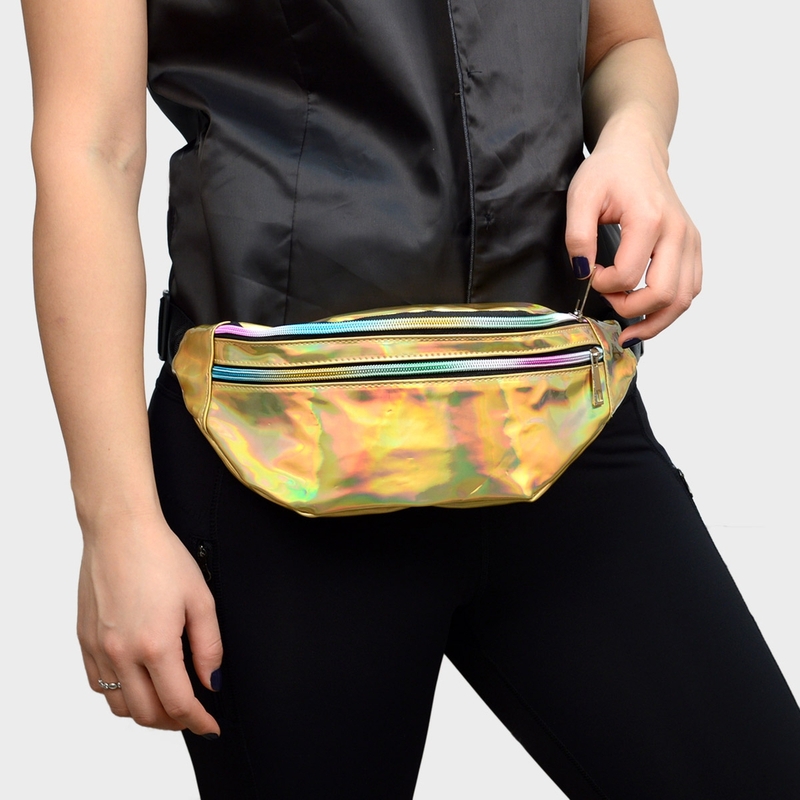 This iridescent fanny pack is the perfect for keep your belongings nearby. Is the best choice for any short trip, gym, hike or just a walk to mall. This chic design is made from polyurethane and features three zippered pockets.